NCP & mare is leading Croatian yacht charter company with more than 70 motor & sailing yachts, crewed and bareboat. As we are in the center of Adriatic, we are an excellent starting point to reach both Vis, Hvar, Korcula and Dubrovnik in the south Adriatic but also Istria or Brioni islands in the North Adriatic. Šibenik region have a unique geographical location, what is main advantage of Croatian nautical tourism. This area is declared as most attractive nautical destination in the world by National Geographic magazine. For our charter fleet we choose only the best yachts. Among motor yachts, boats range from luxurious Fairline yachts to economical priced but new and very well equipped Nimbus, Marex and Adria yachts. Among our sailing yacht fleet we have top class Grand Soleil yachts for clients who are looking for more demanding sailing, wide Beneteau, Jeanneau, Dufour and Hanse range for comfortable family cruising and also economical priced Elan yachts. Or just choose for your holidays one of more popular Lagoon catamarans, they are ideal for family sailing along the Adriatic coast. According to your request we can organize one-way charter, flotilla sailing, team building program's, sailing school program's, cooperative regattas or day excursions. 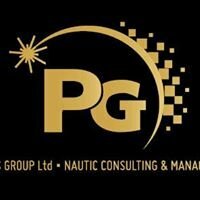 It was probably the combination of all these things that made NCP & mare the winner of the award for the Best Business Yacht Charter Company for Europe in 2008. 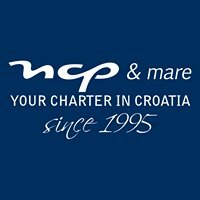 NCP & mare is one of top 5 Croatian yacht charter companies! Was the winner of the award for the Best Business Yacht Charter Company for Europe in 2008,by Business Destinations magazine! SUPERBRANDS award in Croatia for year 2010! The purchase of the boat seems to be too expensive? 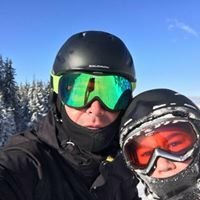 Your job and life tempo allows you only few weeks of sailing? You are afraid that boating might become more worries than pleasure?! Or You are just not sure what kind of boat to buy? NCP & mare management program answers all your questions, takes over all the worries and leaves you with only the best of boating, sailing. You enjoy your boat for 2-3 weeks in the high season, and the rest of the season, the boat is being chartered so it earns enough to cover all the marina costs, maintenance costs, insurance costs but also the part of the investment itself, so if you decide to sell your boat after few years, financially your are positive, and you did have a boats, and we mean the best of it. We hope that this short intro makes it little clearer why charter management program is the "tailor made boating". Rent A Boat & Jet Ski "5m"